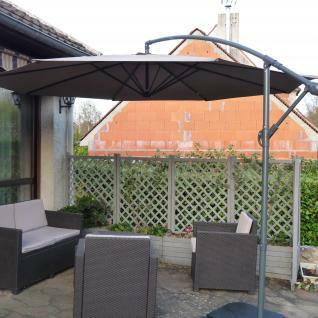 Round Hardelot cantilever parasol with a Ø350cm diameter. 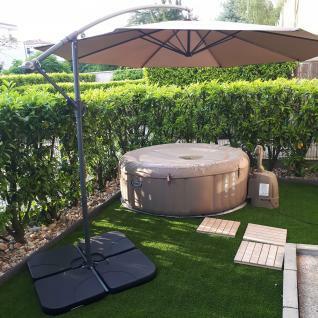 With its octagonal canopy and offset base, the Hardelot is a modern addition to any garden. With a simple, refined design, this chic parasol will blend right into any setting. The Hardelot parasol is also extremely practical. It's easy to open and close thanks to its anti-reverse crank. The Hardelot has an awning at the top that allows air to flow and prevents the parasol from being caught by the wind. Its cross-shape base provides added stabitity. It can be anchored to the ground or weighed down with slabs.